Member Sign Up | Forgot Password? 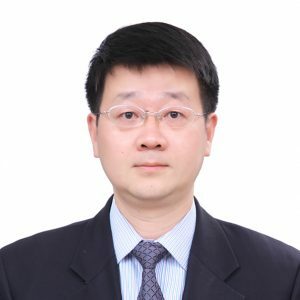 Yingyao Chen is Professor of Health Services at the School of Public Health, Fudan University (FUSPH), Director of the Key Lab of Health Technology Assessment (Ministry of Health) at Fudan University, and Chair of Department of Hospital Management at FUSPH. As well, he is the Associate Dean of the School of Public Health, responsible for international collaborations. He received his Bachelor of Medicine at Shanghai Medical University in 1991, his Master of Public Health at Shanghai Medical University in 1997, and earned his Ph.D. in Management at Fudan University in 2006. He took part in a visiting scholar program at the University of California, Los Angeles, 1999-2001. His academic interests focus on health technology assessment, health policy, health economics, and hospital management. He was a PI of several projects funded by the World Health Organization, World Bank, China Medical Board, Ministry of Health, Ministry of Science and Technology, National Natural Science Foundation of China, and provincial health authorities. He has published 150 papers in Chinese or in English, of which 100 in Chinese and 6 in English with first authorship and corresponding authorship. He is the editor-in-chief of Health Services Evaluation and Disease Burdens of Main Birth Defects and Economic Evaluation of Their Preventive Strategies in China. He is a co-author of 14 books. Provide your views on the new definition of HTA!